Did Russia interfere in the 2016 US Presidential election? How much interference took place? These answers are domestically contentious when beneficiaries fear election results could be invalidated. Surely the undermining of democracy, which may be continuing, is far more significant than any individual's limited political life or personal embarrassment; party politics are less important than national sabotage. 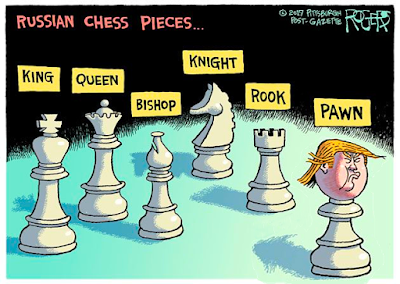 America's been outmaneuvered by Grandmasters in the global chess game. Enemy strategists rejoice in the USA battling itself.